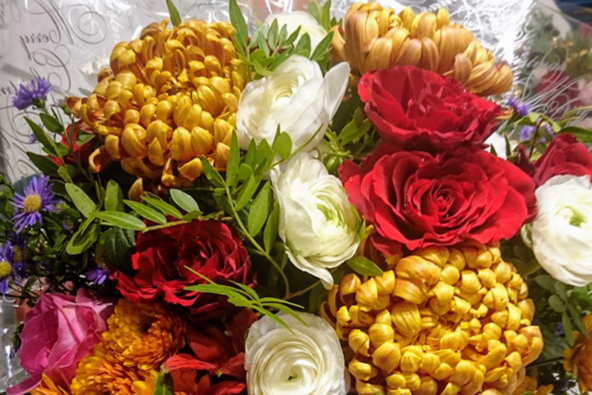 Magnificent Bouquets carry a range of seasonal flowers for bouquets and arrangements, enabling us to create and deliver wonderful gifts whenever you require them. We also arrange eye catching fruit baskets packed full of vitamins and goodness. So if you prefer to send fresh fruit to your dear one, please give us a call today. Fruit baskets require notice of 36 hours. We can create as much or little as you want – from a show-stopping bridal bouquet to a full range of stylish wedding flowers for everyone and everywhere. Over a cup of tea and a slice of cake, we can look at my work albums, flick through design books and have a good chat about colours, styles and all things floral. Brides-to-be in Oadby, Leicester or the East Midlands? Let us help to make your big day truly special. 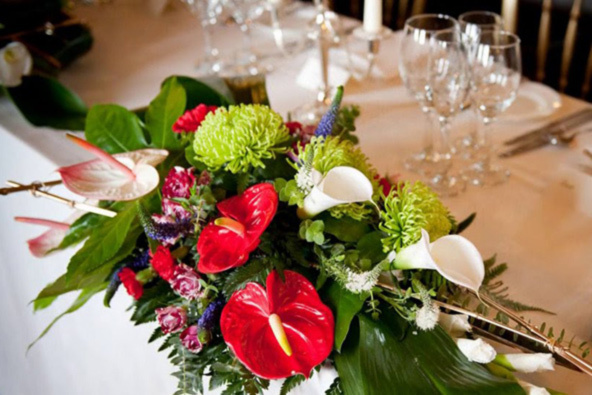 Here at Magnificent Bouquets we specialise in creative venue dressing, matching our flowers to the unique location of your special event. Should you choose to work with us and your event requires it, we can visit your venue together — that’s where ideas really come to life. It gives us a real feel of what will work best for you and ensure we make your event unforgettably special. Magnificent Bouquets has had the pleasure of working with extravagant venues such as Belvoir Castle, Kenwood Hall, Lyde Arundel, Stauntonharoldestate and Leicester's Guildhall. It is always a privilege to create floral tributes that speak from the heart, expressing feelings that are hard to put into words. As we are custodians of this earth for future generations, we try to work with nature as much as possible. 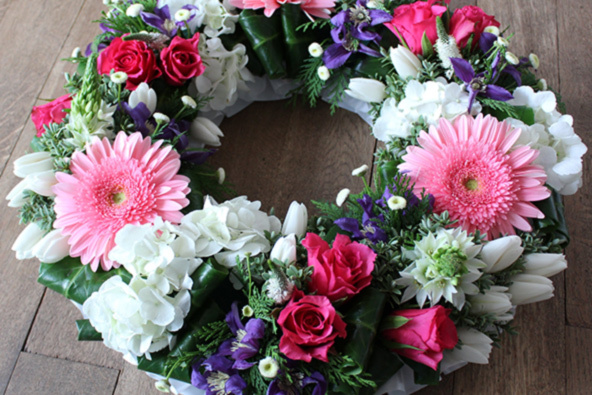 Magnificent Bouquets specialises in creating funeral tributes which are fully biodegradable, so appropriate for Natural Burials, and yet speak straight from the heart. Does your Business require eye-catching floral displays that really ooze luxury and style? Or would you like architectural floral designs or elegantly arrnaged flowers for that special reception desk? Then you are in the right place! We would be delighted to discuss our constantly evolving designs. Magnificent bouquets manage gifting campaigns for our Corporate customers so why not get in touch today? We carry a range of seasonal flowers enabling us to create truly luxurious, eye catching bouquets for those everyday flowery occasions. Let us help you say it with flowers. We also create eye catching fruit baskets packed full of vitamins and goodness. So if you prefer to send fresh fruit to your dear one, please give us a call today. Fruit baskets need a notice of 36 hours. We can create as much or little as you want – from a show-stopping bridal bouquet to a full range of stylish wedding flowers for everyone and everywhere. 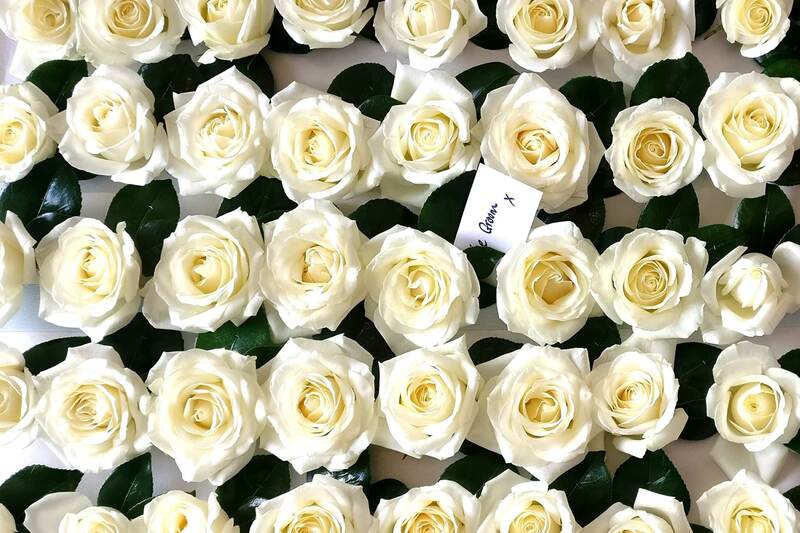 Are you a style-conscious bride-to-be in Leicester or the East Midlands looking for designer wedding flowers? My team would love to help make your big day truly special. Does your Business require eye-catching floral displays that really ooze luxury and style? Or do you need architectural floral designs or table centres that are out of this world for that special event? Then you are in the right place! We would be delighted to discuss our constantly evolving designs. Magnificent bouquets manage gifting campaigns for our Corporate customers so why not get in touch today? 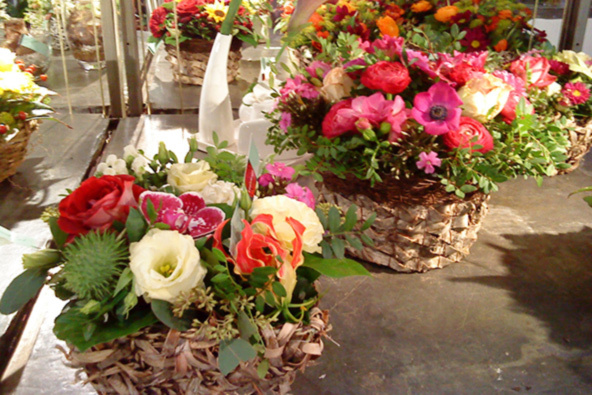 Magnificent Bouquets create memorable flowers for all kinds of budgets. Every job is different because every flower is different, so the cost depends entirely on the blooms you choose. Please get in touch to discuss your flowery requirements today. 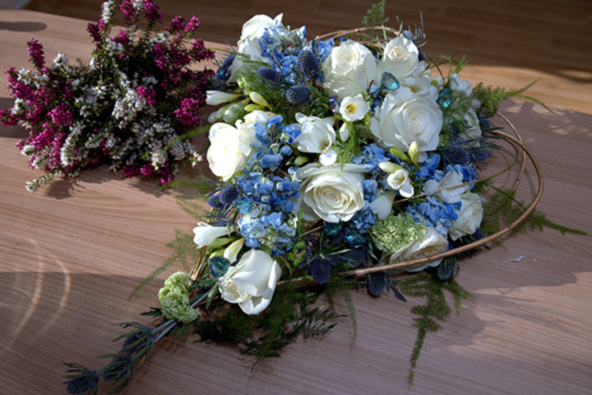 Magnificent Bouquets.com brings colour to your special events delivering to Leicester City Centre, Knighton, Market Harborough, Oadby, Stoneygate, Wigston and beyond.